Apple has released three all-new iPhone models, the iPhone XS, iPhone XS Max, and iPhone XR. Each of the new iPhone models features a redesign influenced by the iPhone X, and each model is available in different screen sizes, varying storage capacities, and a variety of stylish color options. Additionally, Apple has launched the new Apple Watch Series 4. 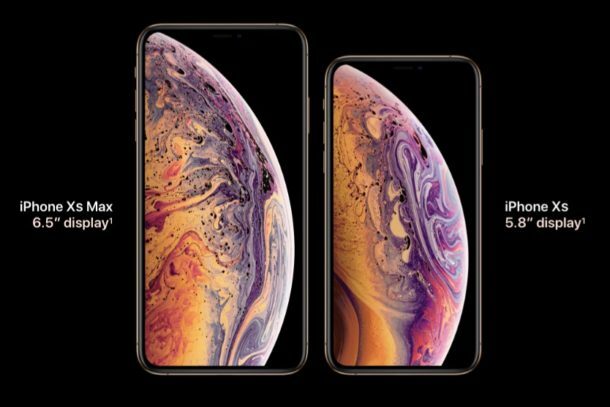 The iPhone XS has a 5.8″ OLED display while the iPhone XS Max has a 6.5″ OLED display. The iPhone XS models are available in three color options; Gold, Silver, Space Grey, and in three different storage sizes, 64GB, 256GB, and 512GB. Pricing for the iPhone XS starts at $999, and pricing for the iPhone XS Max starts at $1099 and goes all the way up to $1449 for the 512GB capacity. The iPhone XS and iPhone XS Max are available to pre-order on September 14, and it ships on September 21. 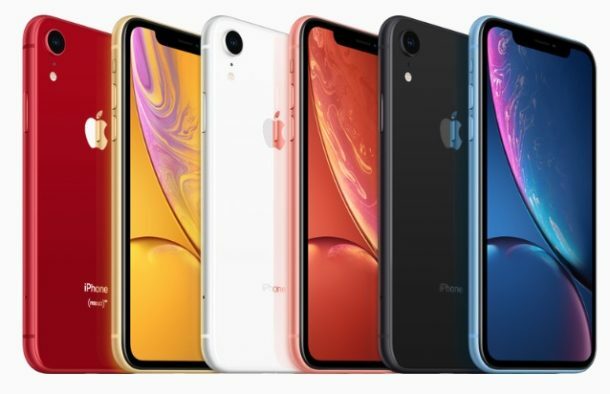 The iPhone XR has a 6.1″ LCD display, and is available in yellow, coral, blue, red, white, and black, and with storage capacity of 64GB, 128GB, and 256GB. Pricing of the iPhone XR starts at $749 and goes up from there based on the storage capacity chosen. The iPhone XR is available to pre-order on October 19, and iPhone XR ships on October 26. The video embedded below from Apple gives a nice introduction and overview of the new iPhone XR, iPhone XS, and iPhone XS Max. All new iPhone models feature the A12 Bionic processor, improved battery life, and an improved 12MP cameras, though the iPhone XS line continues to have the dual-camera lens system whereas iPhone XR has a single camera lens. Face ID is the new standard unlocking mechanism on the iPhone XS, iPhone XS Max, and iPhone XR, as none of the devices have a Home button or Touch ID. If you’re not a fan of biometric authentication, don’t worry because it’s almost certain you can use these iPhone models without Face ID and instead rely on a passcode entry to unlock the device, just like iPhone X. 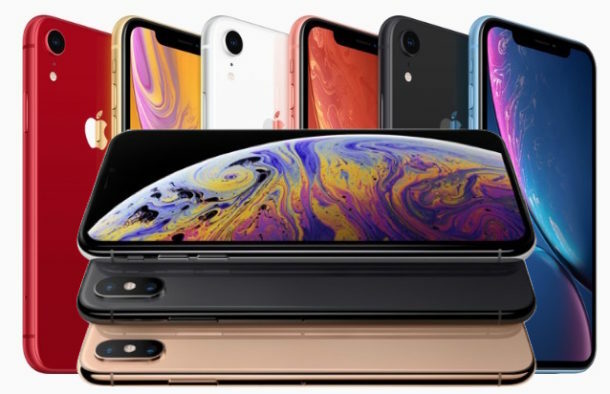 The exact differences between the various new iPhone models can be a little confusing, and if you’re trying to figure out the exact specification differences it’s probably best to refer to this iPhone comparison page on www.apple.com before making a purchasing decision. Each of the new iPhone models will ship with iOS 12 preinstalled. Apple also launched the Apple Watch Series 4 at the same event. Apple Watch Series 4 includes a 30% larger screen size that includes curved edges. It’s available in two sizes, at 40mm and 44mm. 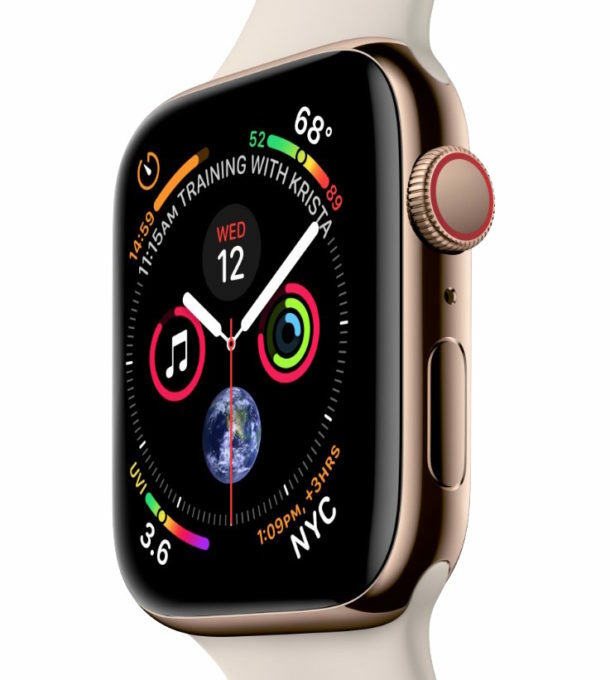 Perhaps the most interesting features of Apple Watch Series 4 are the new health monitoring capabilities, which include fall detection, improved heart rate monitoring, a-fib detection, and an electrocardiogram. Apple Watch Series 4 starts at $399, and ships with watchOS 5 preinstalled. Apple Watch Series 4 will ship on September 21, with pre-orders available on September 14. Apple has also posted a quirky and fast overview video of all their announcements today, if you want to quickly speed through what was discussed at the September 12 event. Is it true that the XR does not have 3D Touch? The Apple page seems to indicate that. Is this the first iPhone since the 6s that does not have 3D Touch? Correct, no 3D Touch on iPhone Xr, but there is a Haptic Feedback feature that Apple says works similar to how Force Touch / 3D Touch works on the Mac trackpads. It’ll be interesting to see what that feels like and how it works in practice. Correction on the availability on iPhone 10s and 10s Max . Preorders for the iPhone XS and XS Max will begin this Friday, Sept. 14, with the phones going on sale next Friday, Sept. 21. Whoops that is correct, thanks for catching the typo! It has been fixed. Meh, I have an iPhone X which I guess was discontinued, but it’s the same phone as these. No reason to update if you have an iPhone X I guess, it’s literally the exact same camera, same phone, same design, no new features. Pretty underwhelming. They also jacked up the price which is expected for modern Apple but disappointing. The naming convention is confusing, nobody will pronounce any of this properly. Not only is the naming confusing but so is the product line, what iPhone is better than the last? It used to be that bigger screen = better. Now it’s all over the place. I guess it’s all about price, expensive = best. Yeah, it’s all about the money now with Apple. I was planning to upgrade from my three year old iPhone 6s this year, but they are just making it impossible once again. I’d better start thinking about leaving apple’s ecosystem. Bizarre names. Hard to tell differences. I noticed that the iPhone 7’s and 8’s seem unchanged. Since the 8 has very little difference from the 7, I’m standing pat w/ my 7. Glad the rumors of dumping the 3D touch seemed to be true. Hopefully the 9(?) next year will drop it and I might update to a phone I can afford. Keeping the old iphone another year just doesn’t cut it anymore. Time to start thinking about changing to a different brand, because this trend of prices increasing is just going to get worse. I bet next year $999 willbe the price for the “cheapest” iphone.